As New York State’s leading provider of portable toilet trailers and facilities, CALLAHEAD is continuously creating new products to meet our customers needs. 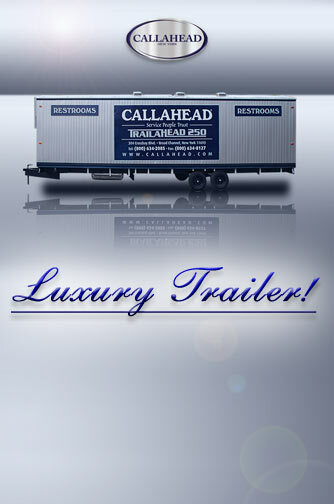 Now CALLAHEAD proudly introduces The TrailaHead 250 Bathroom Trailer. The TrailaHead 250 is a state-of-the-art solution to jobsite sanitation. Restrooms are a necessary part of any project plan which is why The TrailaHead 250 is the ideal choice for construction sites everywhere. The TrailaHead 250 arrives on your job-site clean and ready for immediate use. Many people would like facilities to be as clean and comfortable as the ones in their own homes. 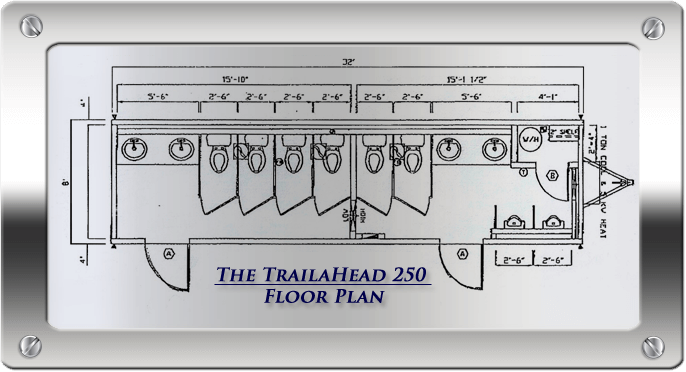 With this in mind, CALLAHEAD designed The TrailaHead 250: to provide all the amenities of home restrooms with features that include ﬂushing toilets, urinals, sinks & mirrors -- all in a fresh, sanitary environment. Additionally, porcelain toilets in private stalls, partitioned urinals, heating and air-conditioning, hot and cold running water, powered ventilation and concealed plumbing make The TrailaHead 250 the perfect option when you want the very best for your job-site. 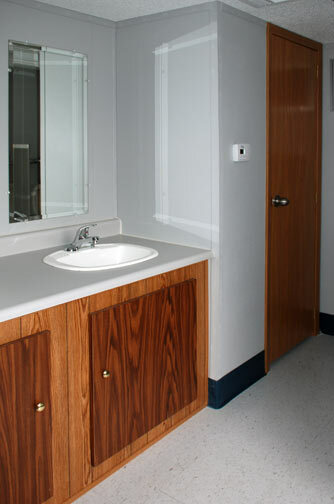 The TrailaHead 250 is the perfect restroom trailer to satisfy the needs of construction and other job sites. Your employees will appreciate the comforts that this unit offers. 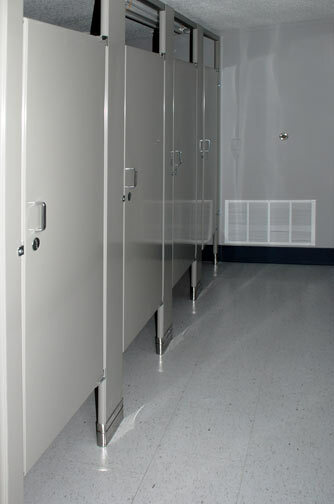 At CALLAHEAD, we understand that there is a great need for clean facilities from a company that you can trust. As such, we back all of our restrooms with the best customer service in the industry!